This post is for the hostess withOUT the mostess, the procrastinator (hello me), or the low key. If you're having people over for Christmas or hosting a holiday dinner this year...have no fear! Rather than sweating the fancy schmancy details like floral arrangements (do you even own a vase??? 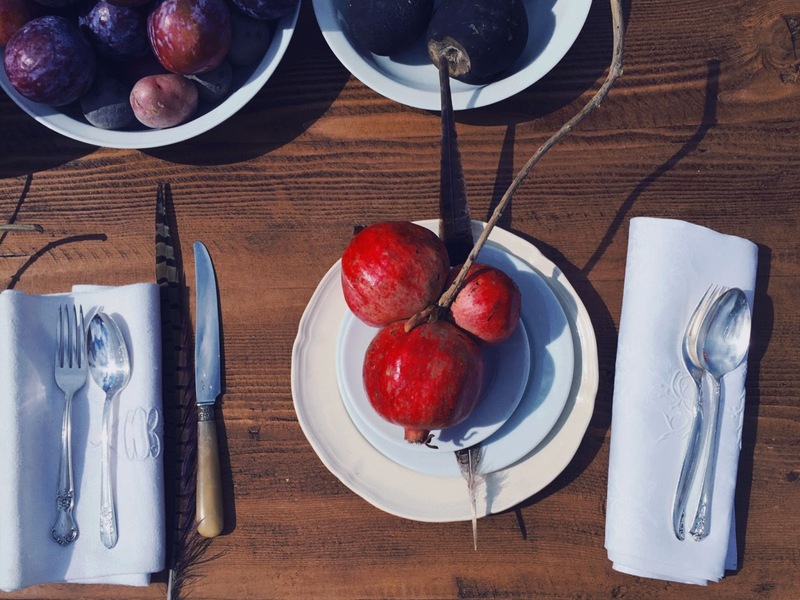 ), napkin rings, or (heaven forbid) name cards, just use these easy tips for styling a simple, yet bold holiday tablescape. Your guests will be all, "This is amazing! How ever did you get Martha Stewart to do this?!" And you'll do your little happy dance in your head knowing you just styled the mess out of those cheap dishes you got in college! YOU - 1; MARTHA - 0! Take that overachievers!!! Centerpiece: This sets the scene, so even though this is easy breezy hosting it still shouldn't be skipped. Option #1 - Produce: Pass on the floral arrangements and make a bold statement with bowls/platters/dishes of fresh fruits or vegetables (no creative skills required to fill a bowl with produce, unlike artfully arranging bouquets!). You may already have them on hand for cooking around the holidays and-unlike flowers-you can eat them afterwards! I use pomegranates as the giving of pomegranates, persimmons, or citrus is a Christmas tradition in Mediterranean culture, like my family's. 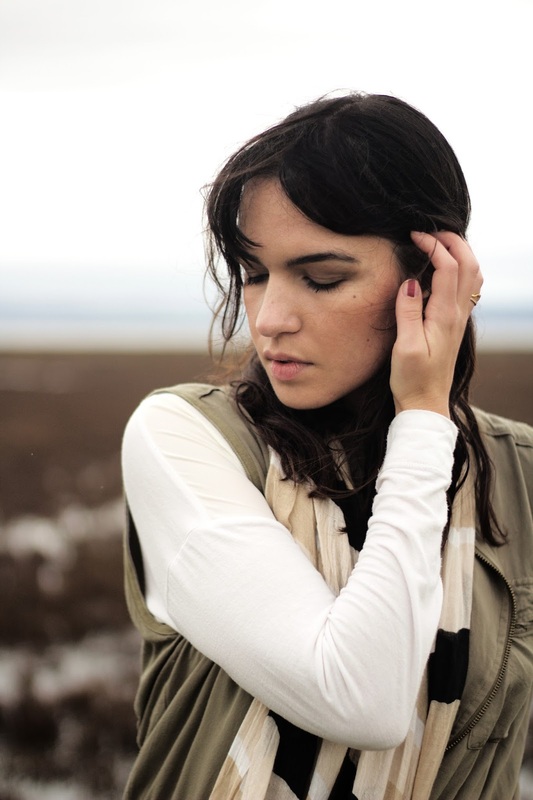 How - Color Palette: The closer you can stick to a color palette the bolder your styling will look. Learn more about picking a palette from this color wheel tutorial. 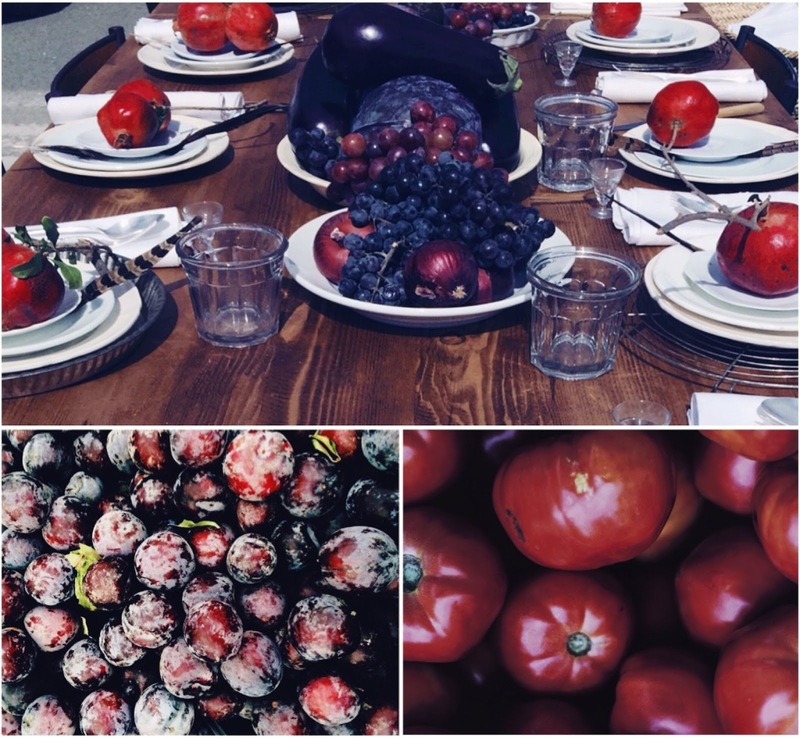 Analogous: For our holiday tablescape we used harmonious analogous and almost monochromatic color palette ranging from rich pomegranate reds to deep eggplant purples with merlot grapes, plums, avocado, and figs in between. Complimentary/Contrasting: The most popular example of contrasting colors is Christmas' red and green (think red and green apples). This sort of palette is vibrant and dramatic. Neutrals: Think soft colors from nature with shelled brown nuts, cotton white, and muted green artichokes. How - Uniform: You don't need your grandmother's fine china to achieve this table decoration. 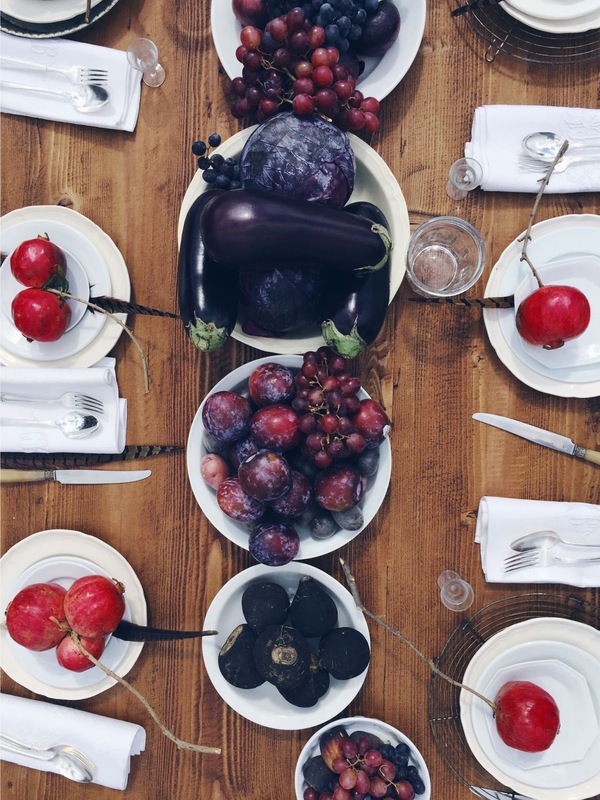 Find uniformity with your centerpiece dishes (that doesn't mean that they need to be a part of a set or match). Ours are all from different sets but tie together with the white. You could also experiment with dishes that are different colors but the same size, or different colors and sizes but the same pattern/style. One example: different colored bowls/platters/plates of depression glass. Option #2 - Candles: Never underestimate the drama of a candlelit dinner. How - Types / Sizes: You can simply have 2-3 tapered candlesticks standing tall in the center in holders or a candelabra. Or group together several pillar candles of varying heights on a plate. Or go smaller in scale and use wine glasses or small glass containers to house votives or tealights. How - Color: White is always the most classic candle wax color and ensures that if you have different kinds of candles they all go together, as opposed to discrepancies of hues with colored wax for candles from different brands or stores. If you do want to use colorful candles and have different colors group them together on a plate and tie a ribbon around them or create balance with each candle having the same uniform holder. Option #3 - Nature: Greenery, leaves, feathers, pinecones, twigs/braches...the list goes on and on for what is available this time of year. Bonus: it is often free! How - Balance + Display: Don't let nature take over your table. You can put pinecones or leaves in a clear vase or bowl. Branches or greenery can go in a tall vase or be laid down the center of the table with pinecones or leaves singularly spread throughout. Find balance and keep it minimal. It's meant to be easy! Place Settings: This can be as casual or dressed up as you like. Work With What You Have: If your only option is paper plates then fold the napkins fancy to elevate the look. Don't have enough matching dishware or a set for everyone? Mix and match the plates and bowls to make it fun and eclectic like here. Staying monochromatic with whites kept the tablescape looking pulled together-even though no two place settings were the same. Placemats or traditional chargers were forgotten to save space both physically and visually. As there were only three of the antique wire chargers the eclectic, mismatched theme continued. A large tart tin was found to make an even number and they were placed at different settings around the table. How - Decor: Again, as casual or elegant as you need it to be. Open seating usually works best for my hostess style so I don't like using place cards. 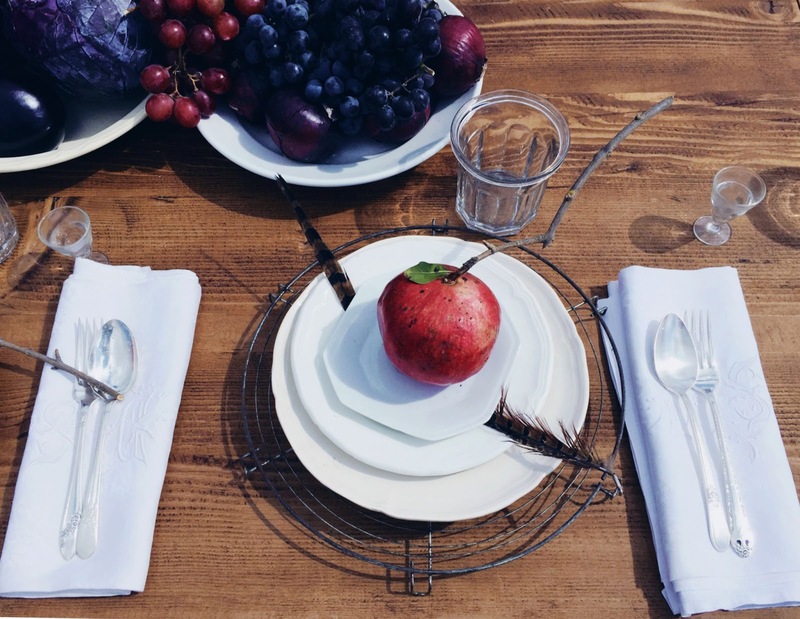 Rather, putting something like a piece of fruit (as seen here) on top of their plate or folded napkin is is super fast and simple, yet bold, way to decorate the setting. These also make for great conversation pieces at a dinner party. To top it all, you can send your guests home with their setting decor as a sweet and fun party favor! What are you holiday dinner plans? If you are hosting, do you feel excited about setting up? 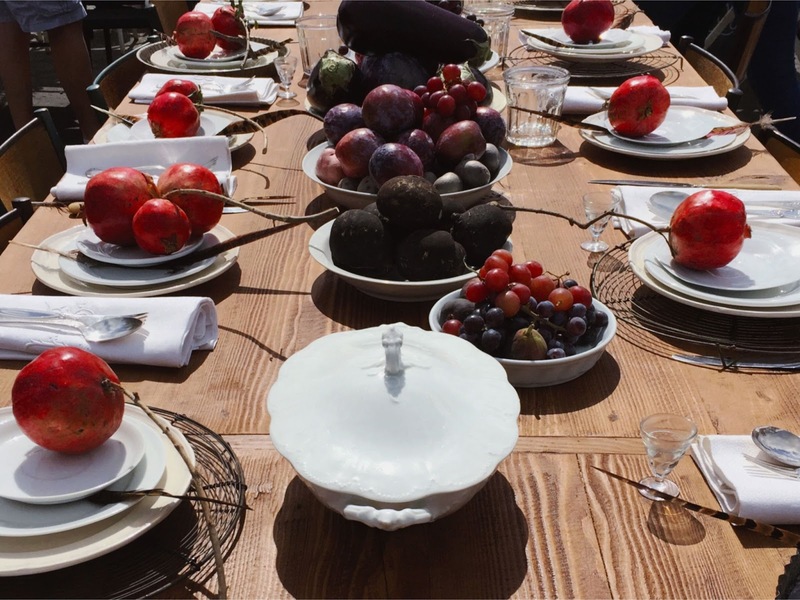 What do you think of using alternative centerpieces (like bowls of fresh produce)? Do you have enough dishes for a set or will you be mixing and matching like this post? 1. Those photos are STUNNING. 2. These tips are super helpful! Thank you for sharing! !